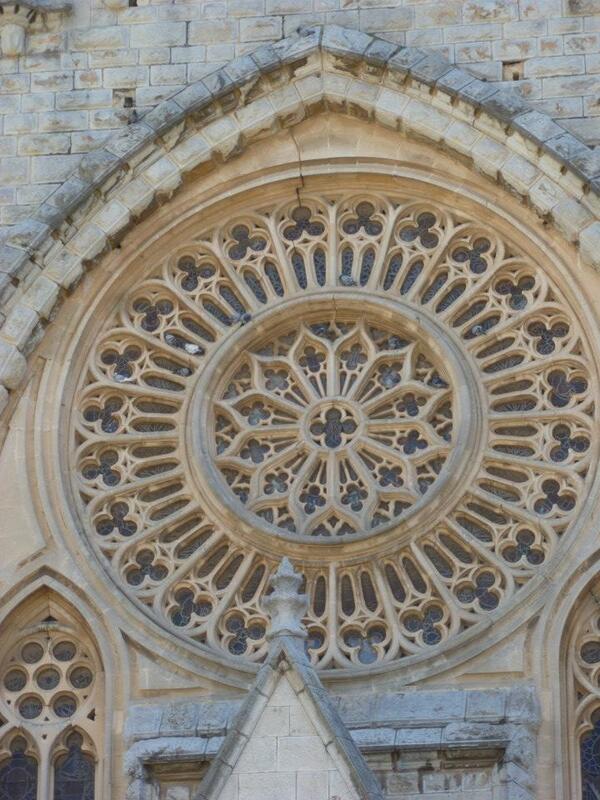 June | 2013 | Hand Luggage. 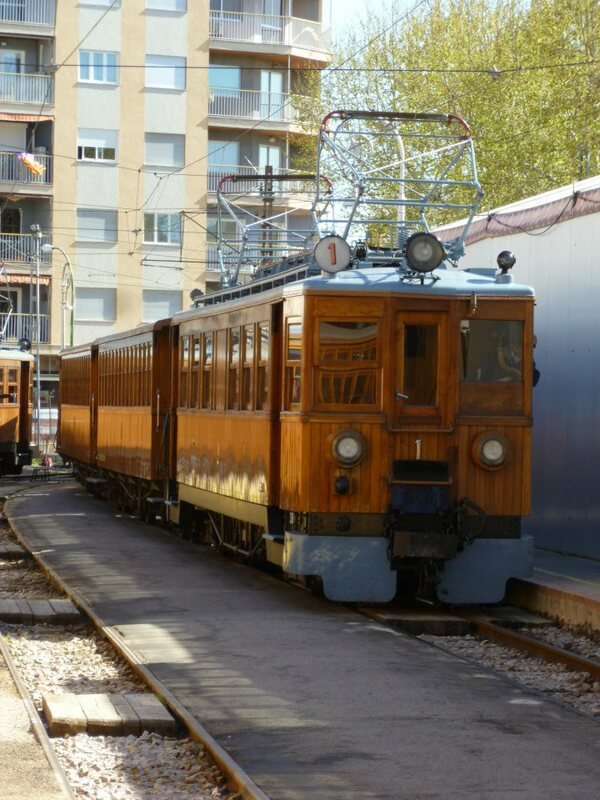 All aboard the noddy train to Soller! 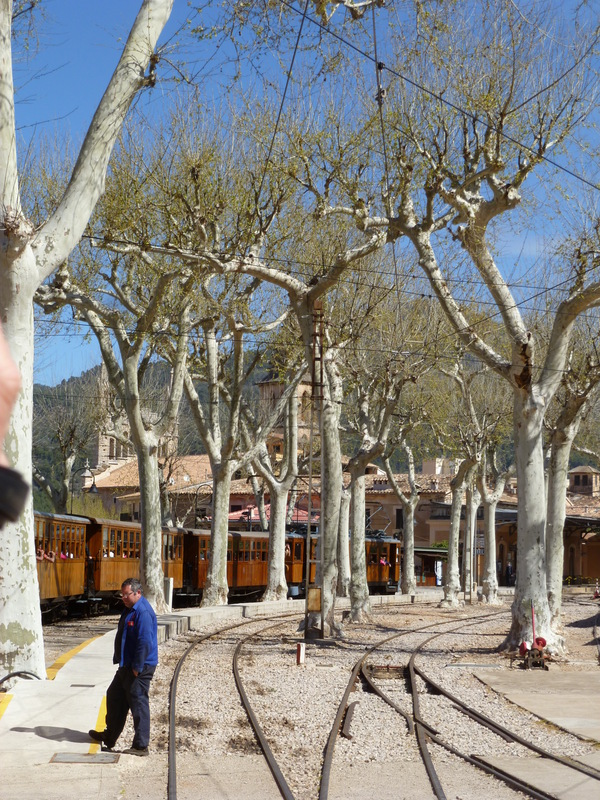 So the other half – train buff and nerd extraordinaire – is super excited about the little wooden train that travels from Palma to the tiny village of Soller. 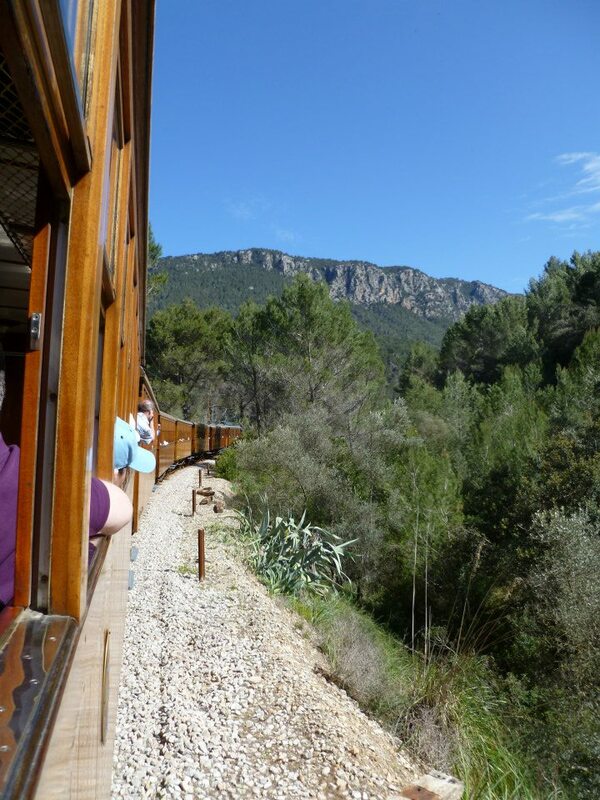 Travelling through mountainous scenery this nostaligic narrow gauge service takes about 1.5 hours to get from one to the other. 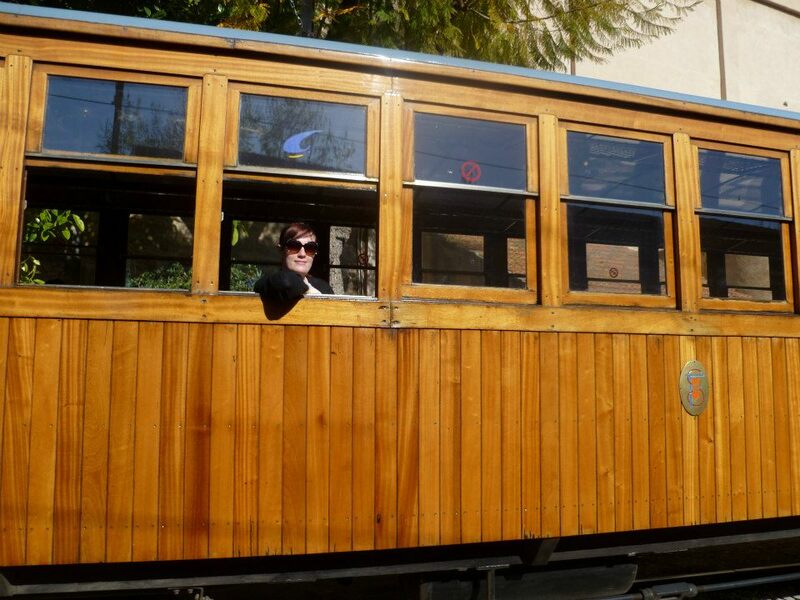 The wooden train has brass fittings, reversable seating and all the trappings of days gone by. 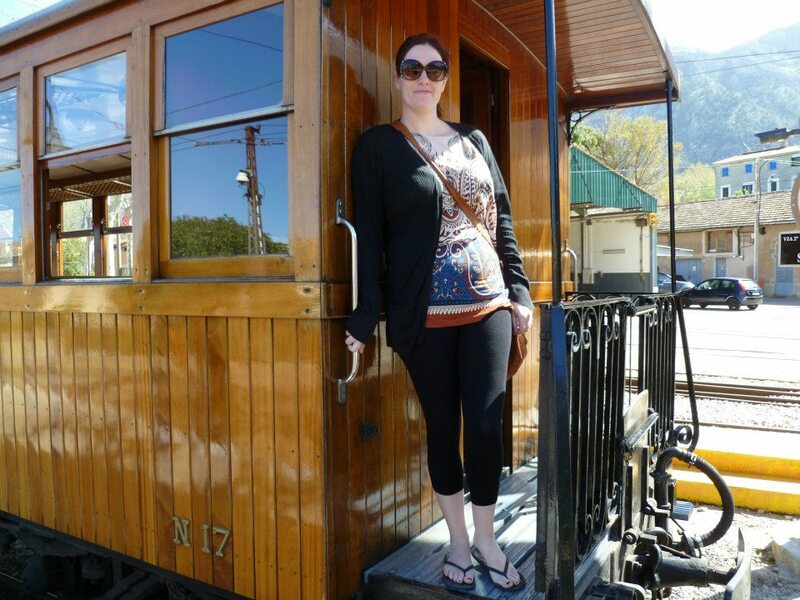 Get there early as queues start forming ages before the train is loaded with passengers and you want to get prime position for the amazing views. 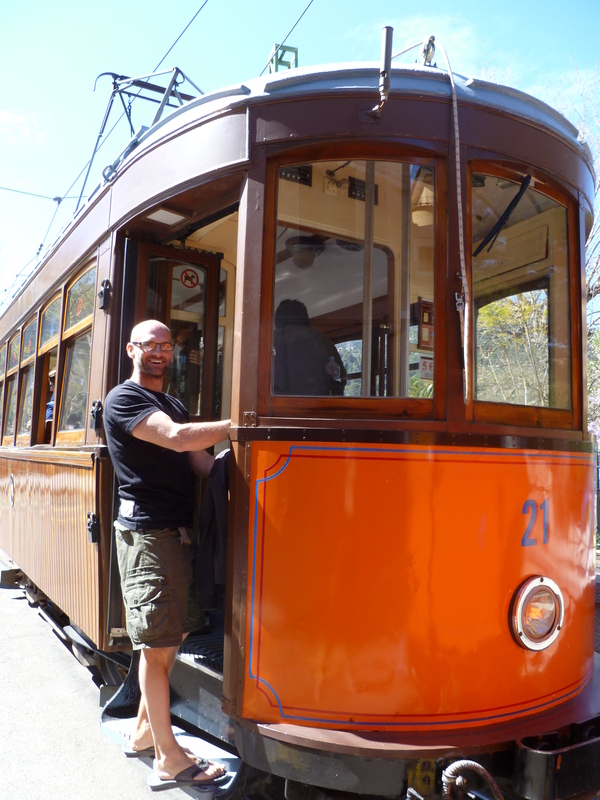 Grabbing window seats we were able to enjoy the breath taking journey as it winds through the mountains. 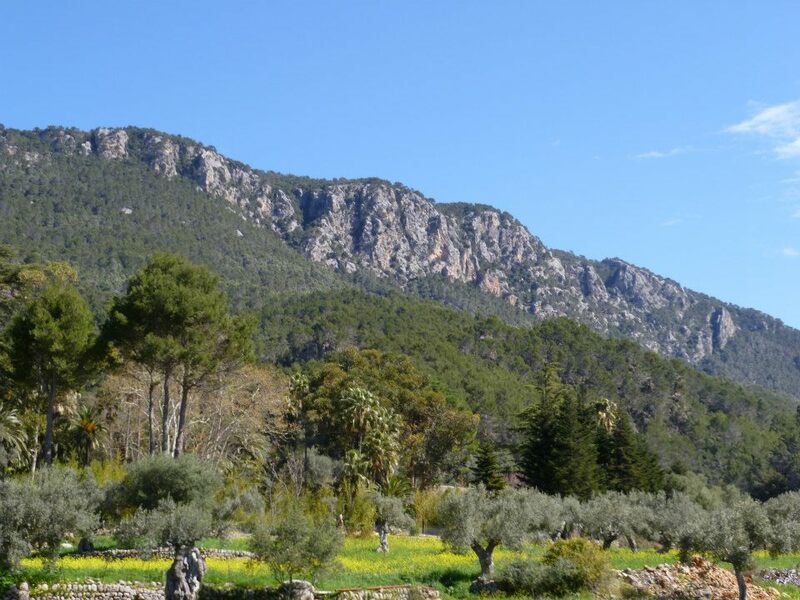 The train passes through 13 tunnels as it traverses the Sierra de Alfàbia mountain range which is 2.8 km wide and 496 metres high. 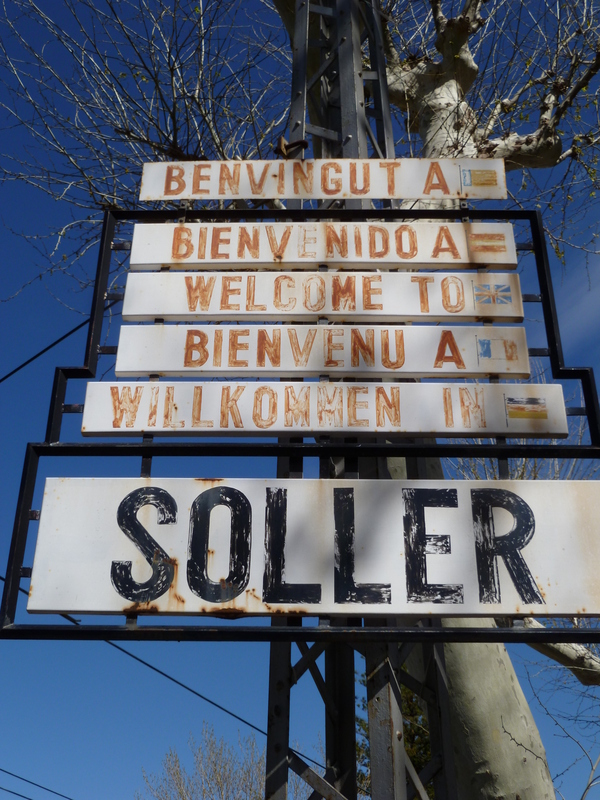 The Sóller railway has been running since 1912 and operates a daily train service along the 27.3 km. 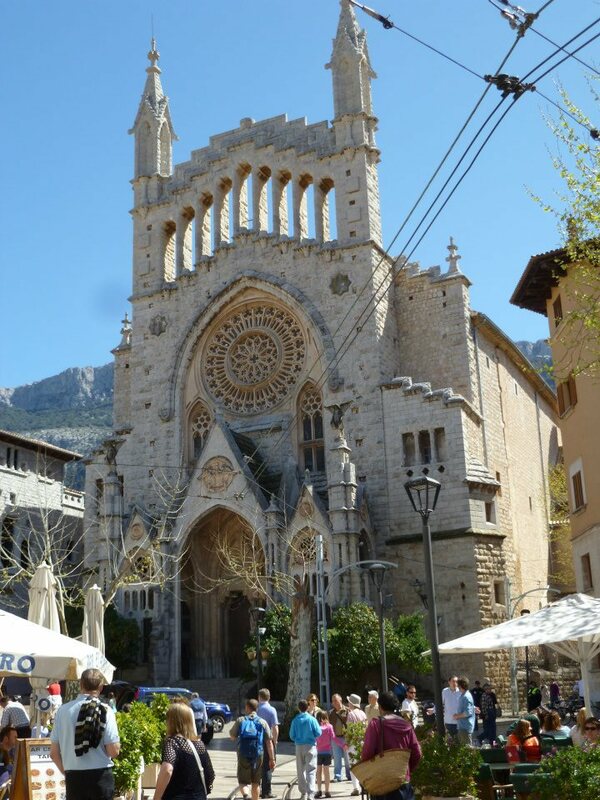 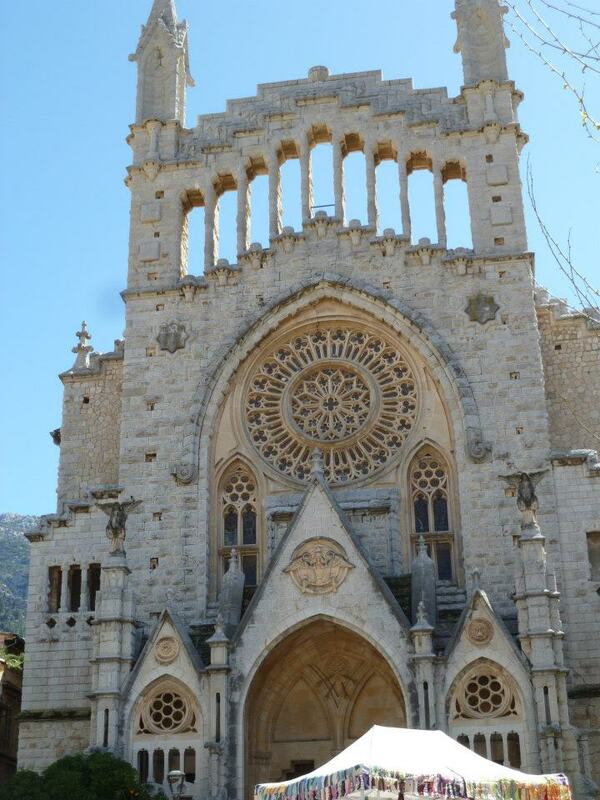 From 1913 it has also run the tram service along the 4.9 kilometres from Sóller and the Port of Sóller. 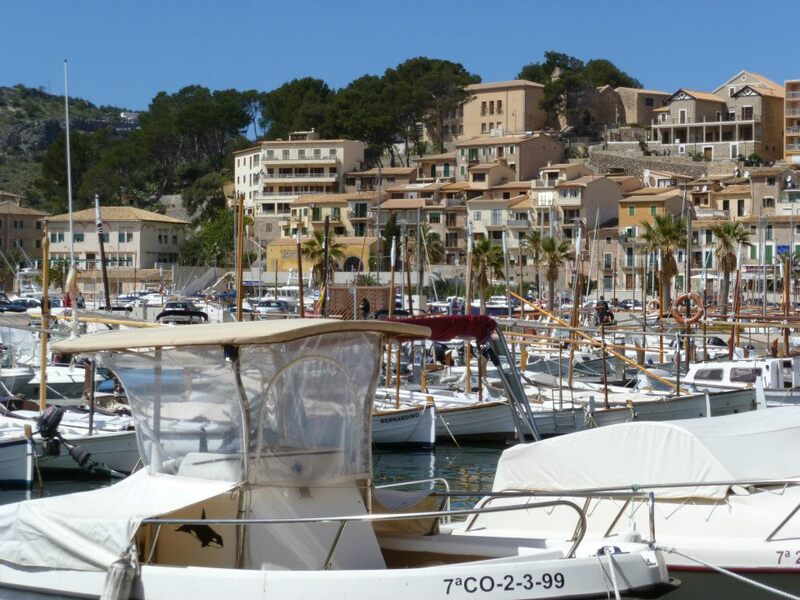 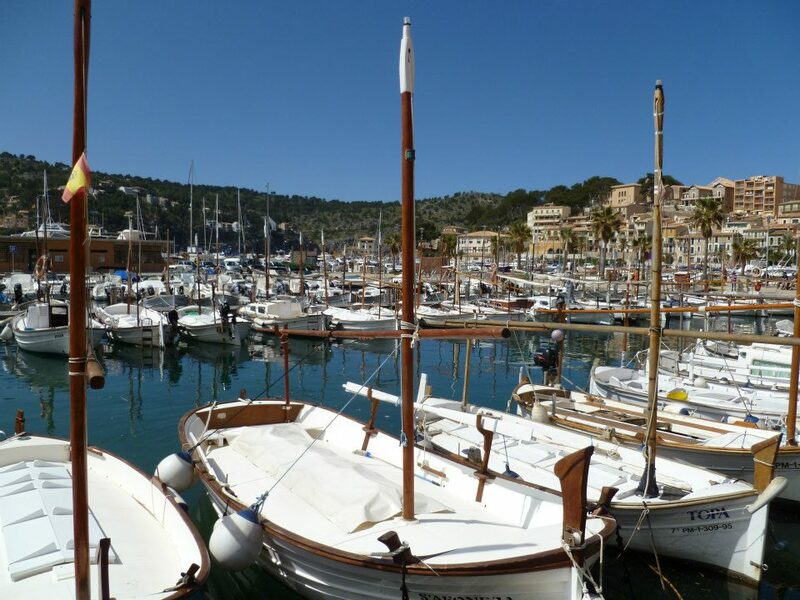 Here the pretty Port of Soller bathed in sunlight.